Typika is one of our favourite breakfast, brunch and coffee locations and it certainly seems to be everyone else’s too if the amount of people there are anything to go by. It’s located just outside the Claremont quarter in a big, almost warehouse like building with the coffee roastery visible in the middle. I couldn’t help but watch it all happen, it’s so, for want of a better word, cool to see the master roasters in action. Then again I am a little bit of a coffee fan girl so it may just be me. 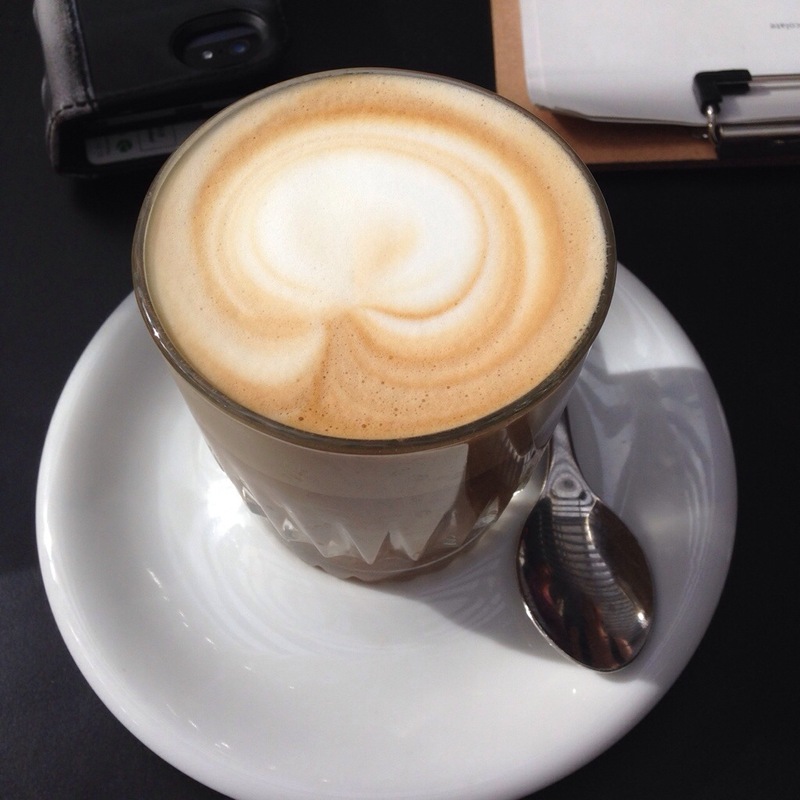 Besides a bit of a mix up with the service – one of our coffees arrived much later then the others, the coffee was very good. We even tried a second coffee on the way out which was equally impressive and the barista happy to chat with me about it which I always appreciate. The spiced beef benedict is a bit of a signature breakfast at Typika, and something we’d really enjoyed previously and were looking forward to. The hollandaise was beautifully spiced, a nice balance with the creamy sauce and the beef was deliciously moist and tender. 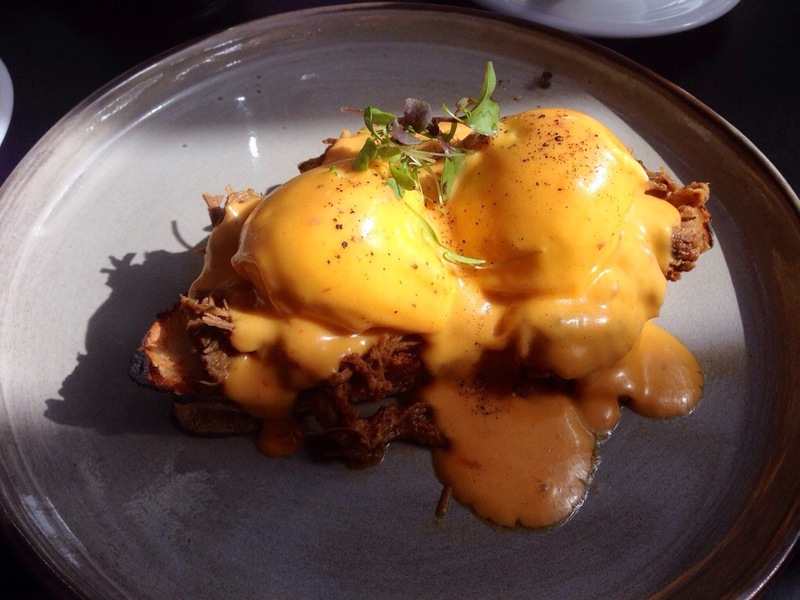 The spiced beef benedict is a fresh take on an old classic, and something you really must try if you visit Typika! 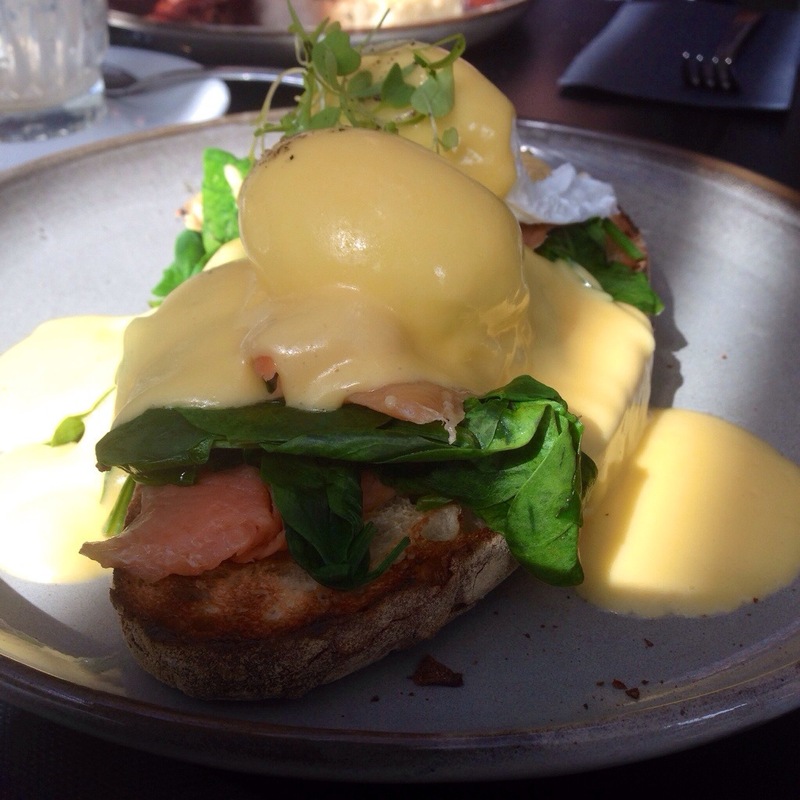 Along this theme is the salmon eggs benedict, which was quite good, with fresh fish and creamy sauce. 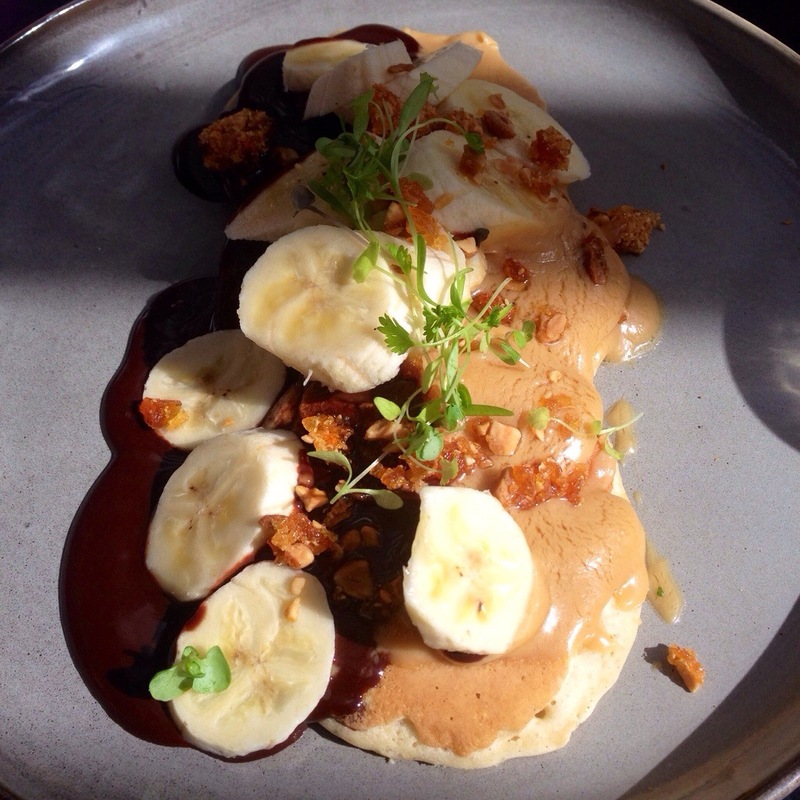 One of the new and more exciting additions to the Typika menu was the peanut butter, chocolate and banana hotcakes. Yep you read that correctly peanut butter and chocolate! The flavour combination is reliably delicious, even though it’s not that common on Australian menus. The hotcakes were well cooked and a good size. The peanut butter was rather salty, but when mixed with the chocolate the salty and sweet became more balanced. The crunch of the toffee was absolutely perfect. If you enjoy interesting and sweet breakfasts like I do this is definitely worth a try! 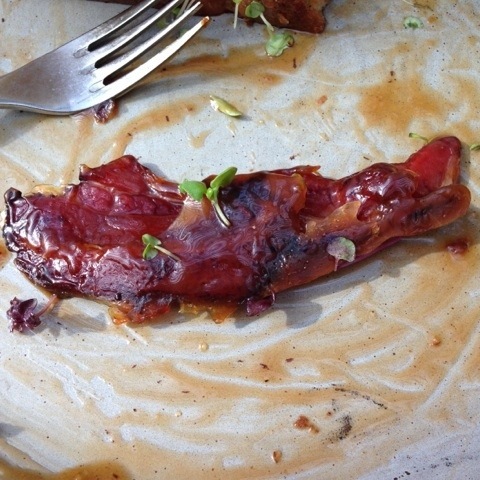 The bacon was a stand out, and the golden caramel was more then generous with a rich colour and delicious flavour. The French toast was good, but as with many sweet French toasts, takes on the flavour of what it arrived with, and loses it’s eggy-ness becoming a little like larger pancakes. This isn’t a criticism, merely an observation, and probably a positive for those who are put off by the eggy-ness of French toast generally. 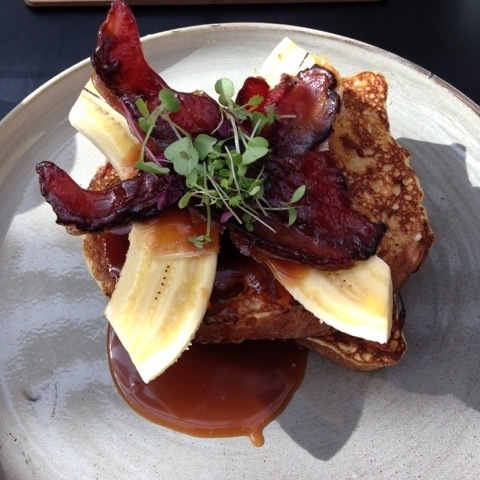 This remains one of the best French toast options around. Typika is a must visit for both breakfast and coffee, they also cater to your coffee at home needs. Though the have plenty of space you should expect a line on weekends. Let me know what you’re favourite breakfast is at Typika! You can now find me on instgram and Facebook!